The popular double exposure effect is not an easy effect to master. Only a Photoshop expert can pull it off. But, there’s a quick workaround you can use to achieve that same effect without any effort—with a double exposure Photoshop action. 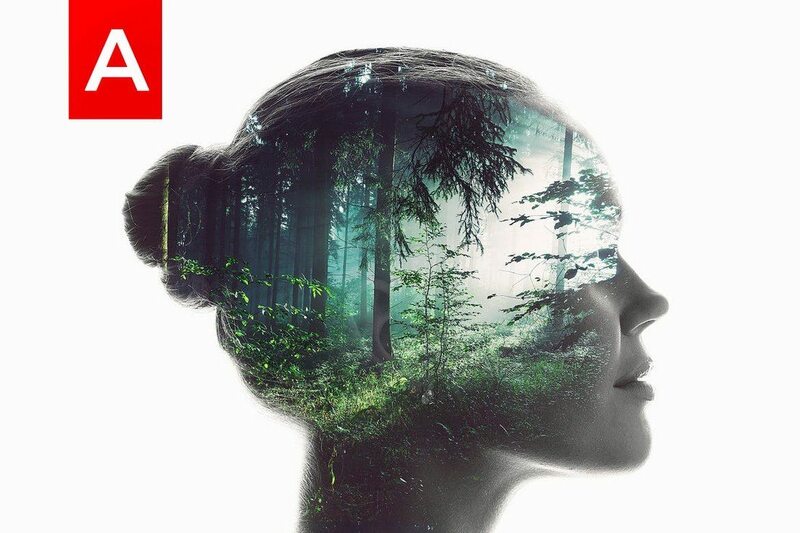 Double exposure is a popular effect now being used in advertising, website designs, movie posters, and print media. Back in the day, photographers created this effect using their cameras by combining a silhouette photo and a fill photo. 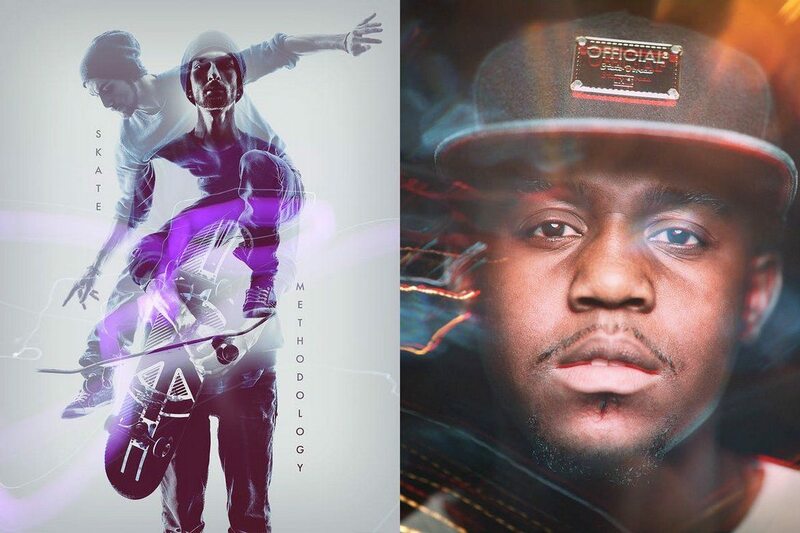 Designers took this effect to the next level using Photoshop. And the digital version of the effect gives you more control and freedom to achieve the perfect blend. You don’t need expert skills to create this beautiful effect. 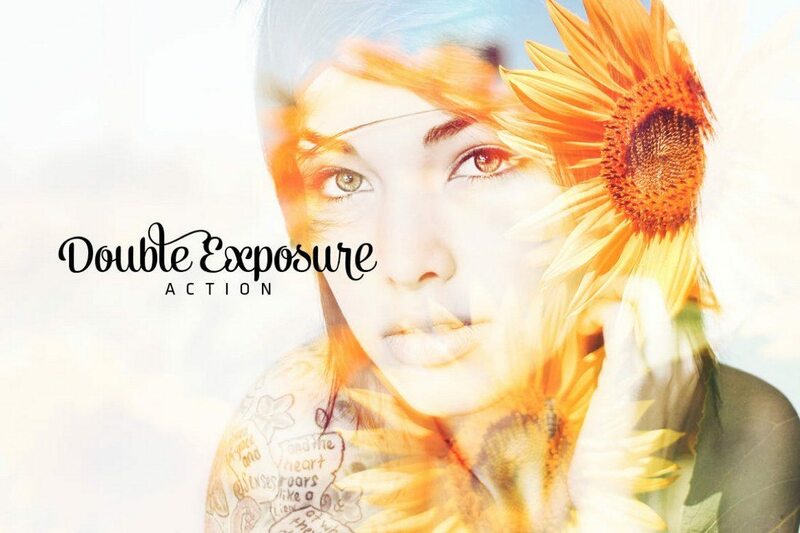 Simply take a look through our collection of the best double exposure Photoshop actions and use it to instantly apply the effect to your photos. This double exposure Photoshop action is not only easy to use but it will also make the effect look as if it’s done by an expert. This high-quality Photoshop action also comes with 18 different color presets that you can mix with the effect to personalize the design as well. Being able to customize Photoshop actions is an important factor that makes a big difference in personalizing the effect to make it your own. This double exposure action allows you to do just that. This customizable Photoshop action works with almost any version of Photoshop as well. 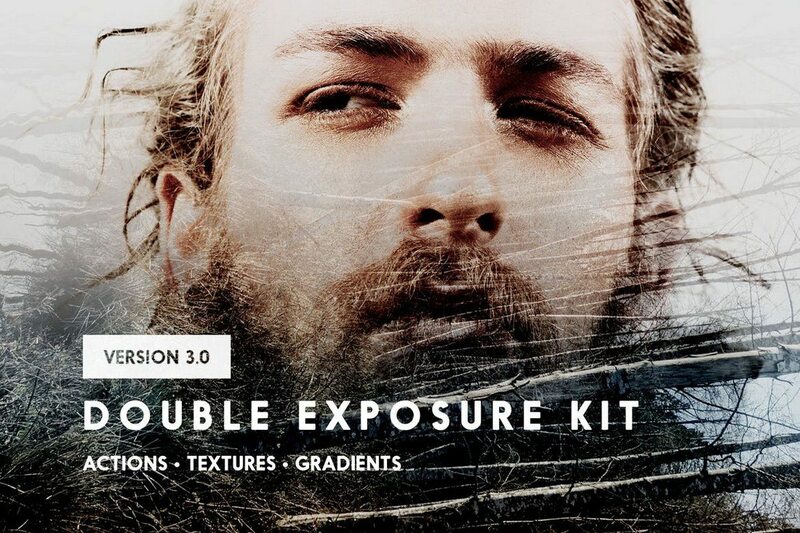 A bundle of double exposure Photoshop actions. 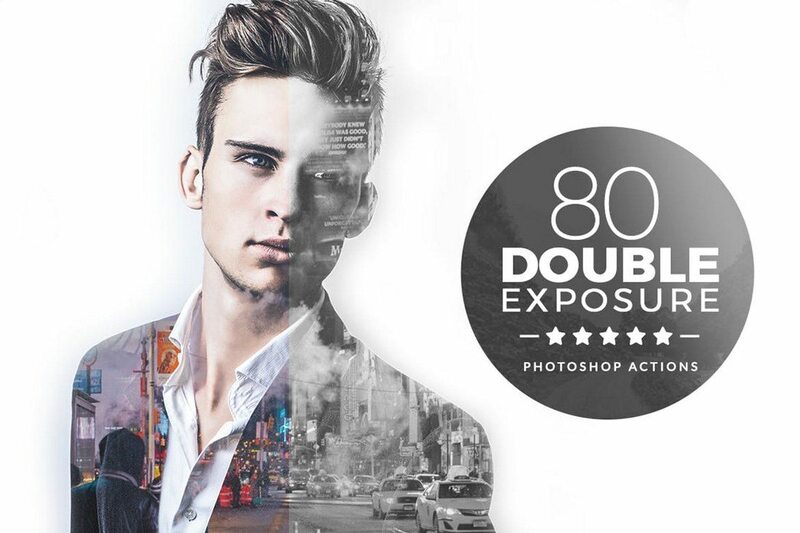 This pack comes with 80 different presets you can use to create beautiful double exposure effects with your photos. It also includes instructions on how to use the actions. 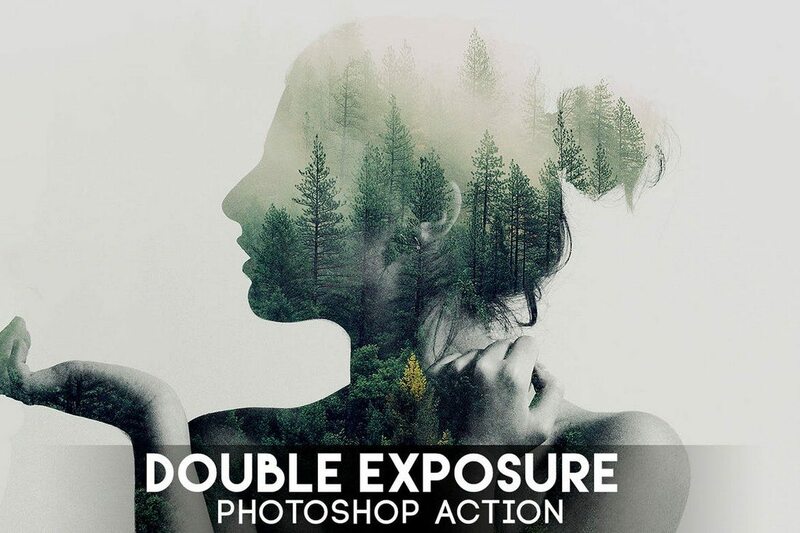 This is a unique pack of content that includes everything you need to create the perfect double exposure effect. It includes Photoshop actions, 30 textures, and 10 double exposure gradients that you can mix and match to create unique effects without having to download additional content. Have you ever wanted to create a video or a GIF using the double exposure effect? Then this Photoshop action is made just for you. This effect allows you to create a double exposure video or a GIF using images or videos. You can use them in your promotions, social media posts, and even in your YouTube intros. Another high-quality double exposure Photoshop action that allows you to easily create a professional quality effect with a few clicks. This action is very beginner friendly and it supports Photoshop versions CS3 and above. This special double exposure action not only blends two photos to create the effect but also adds a beautiful glowing effect to your designs. This is a one-click Photoshop action but it also allows you to easily customize the effect to your preference with organized layers. A simple and an easy to use double exposure action that works with Photoshop CS3 or better. 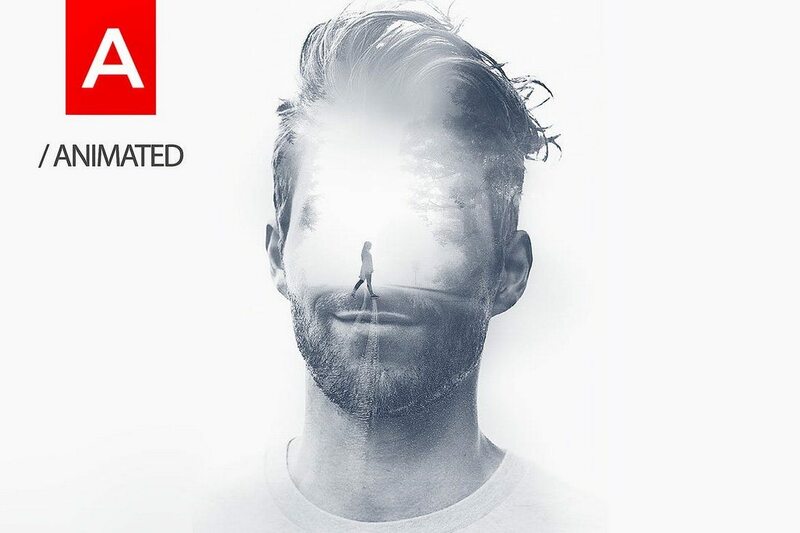 This action can be applied to your designs with a few simple clicks and allows you to create a great double exposure effect. Double exposure is not just about combining two photos into one. You can also use the same effect with other textures and graphics to create unique designs. 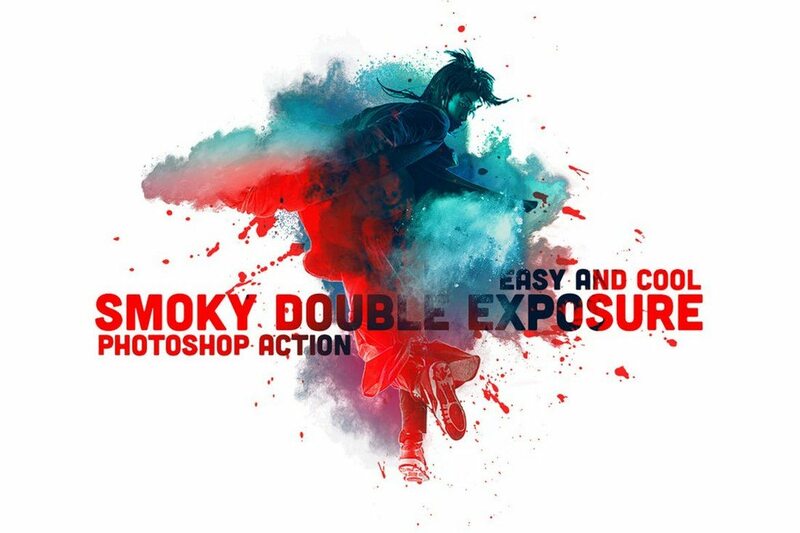 This Photoshop action allows you to mix smoky graphics and textures to create stylish double exposure effects. 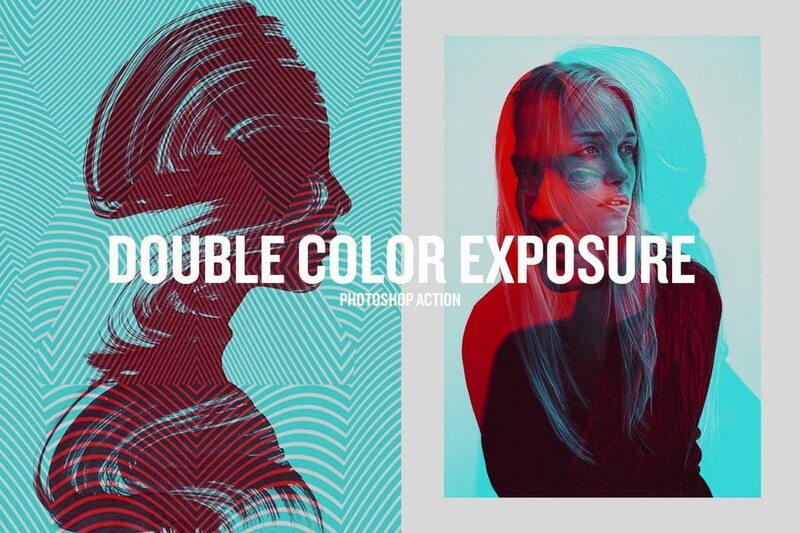 This is another unique double exposure action that not only generates a double exposure effect but also adds a duotone effect to your graphics. 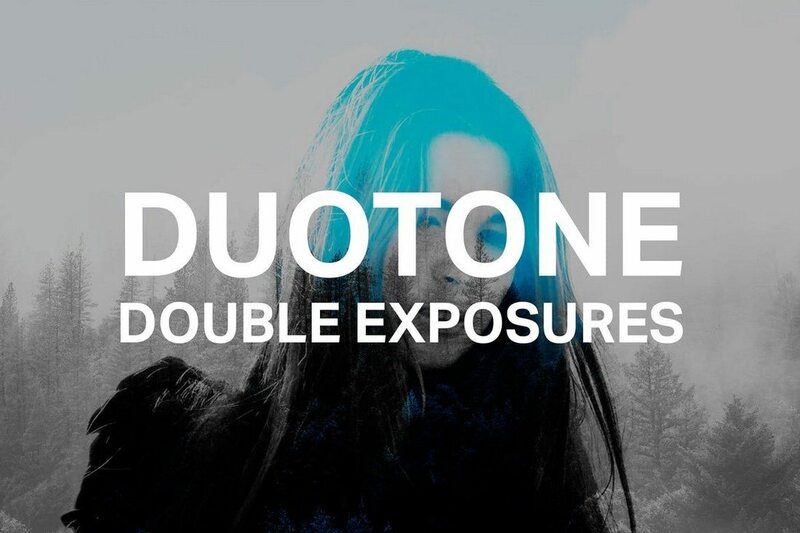 It comes with 12 different duotone effects that you can test and choose for your double exposure designs. This is a two in one pack of effects that includes two Photoshop actions for double exposure effects and another single exposure action. It also comes with 235 light effects that work with both actions for creating unique designs. The pack includes 33 textures as a bonus as well. Another double exposure effect that uses a stylish duotone effect for creating a retro-style double color exposure effect. The effect supports 7 different color styles and it even works with shapes as well as images. 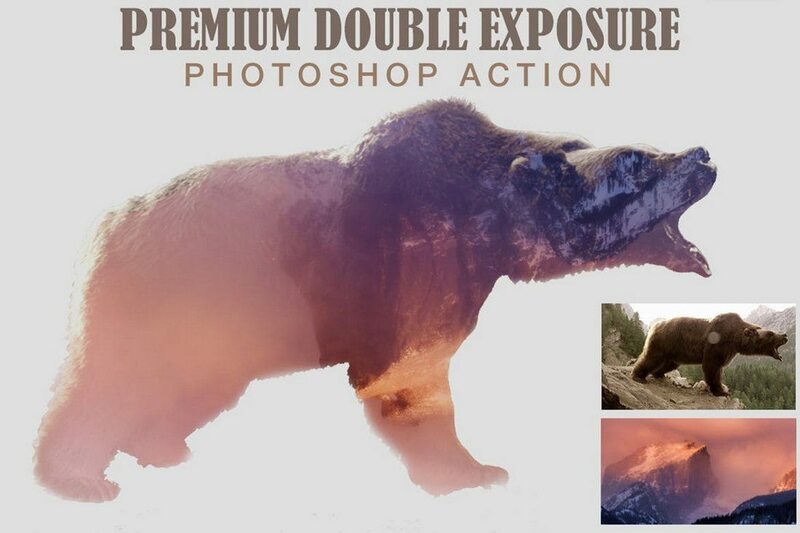 Even though this Photoshop action is technically not a double exposure effect, it uses the same standards. 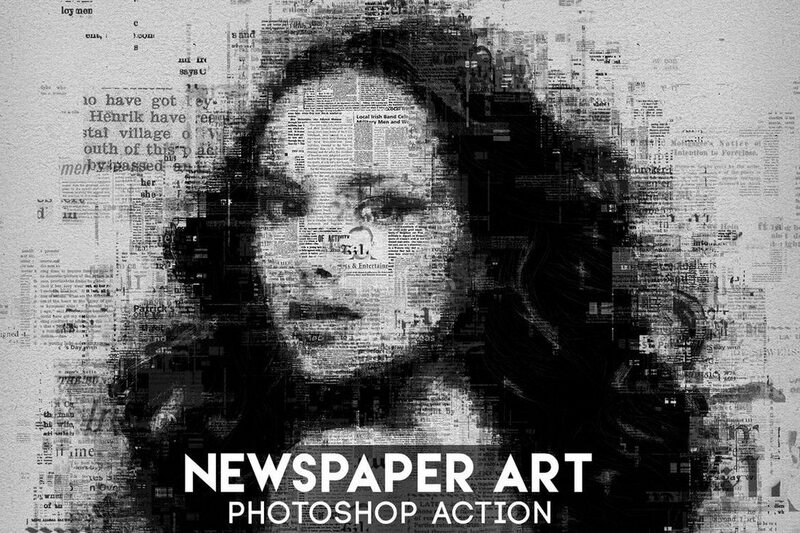 This action uses pieces of newspapers, letters, and shapes and combines them with your portrait and landscape photos to create an artistic text effect for your photos. 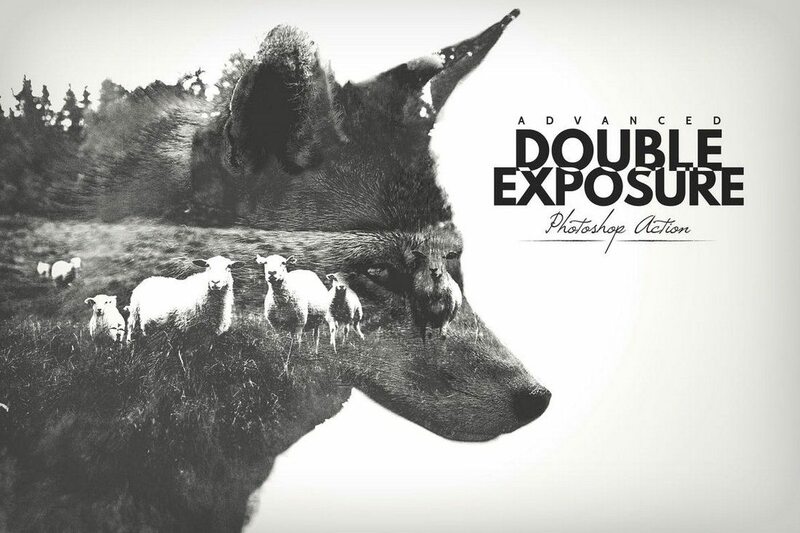 A simple yet an effective double exposure Photoshop action that gets the job done. It comes with 4 different variations of the action for creating different types of double exposure effects and it can also be combined with other Photoshop actions as well.